"The failure to set a new high on 18 June (1.1439 versus 1.1468 high on 15 May) raised the first question mark. Now, a close below 1.0819, if seen, would create a lower low and firmly suggest that the downtrend has resumed," Citi adds. 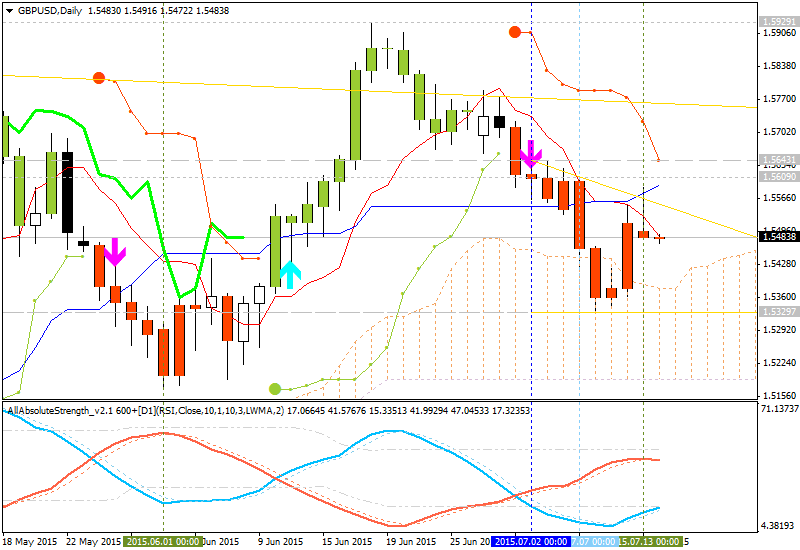 "1- A head and shoulders formation with a neckline at 1.1124 and a downside target of at least 1.0370 (new trend lows). 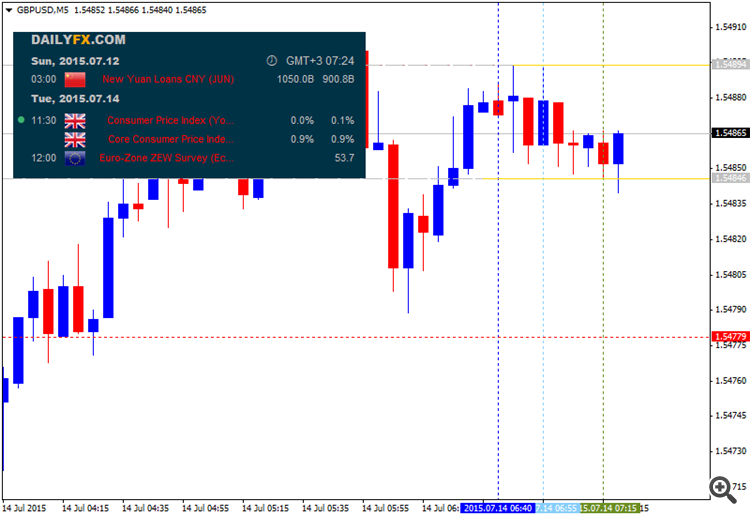 2- An effective double top with a neckline at 1.0819 and a minimum target of 1.0185-1.0200," Citi clarifies. "While longer term (possibly summer 2016) we retain a target of .8800-.9000 we would envisage seeing the target rangers above in the weeks ahead if this break of 1.0819 takes place," Citi projects. "We see our results as consistent with our view that low inflation in the Euro zone is partly structural, which supports our view that ECB QE will last at least through September next year, which in turn supports our EUR/$ downside view." "GS sees EUR/USD trading at 1.02, 1.00, and 0.95 in 3, 6, and 12-month respectively." 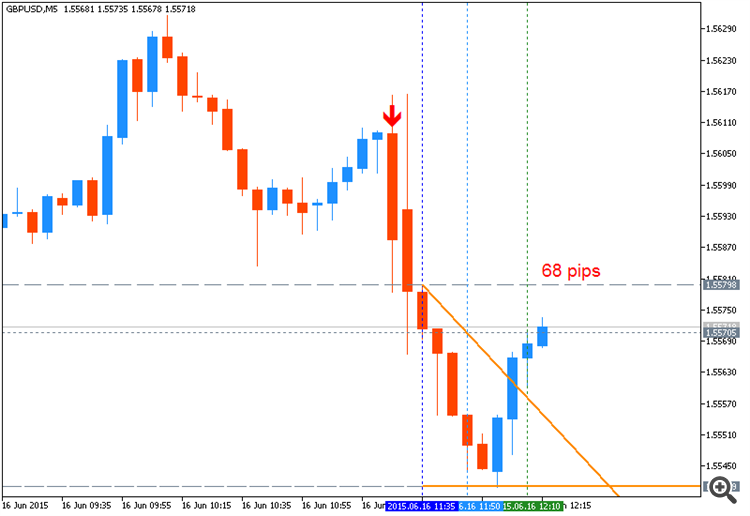 A further slowdown in the U.K. Consumer Price Index (CPI) may generate a near-term pullback in GBP/USD as it puts increased pressure on the Bank of England (BoE) to retain its current policy throughout 2015. However, the stickiness in the core rate of inflation may limit the downside risk for the sterling as BoE Governor Mark Carney anticipates faster price growth in the second-half of the year, and the central bank head may continue to prepare U.K. households and businesses for higher borrowing-costs should the fundamental developments show signs of a stronger recovery. Nevertheless, improved confidence along with resilience in household consumption may prompt a strong inflation print, and a positive development may pave the way for a near-term advance in GBP/USD as the BoE remains on course to normalize monetary policy. Need red, five-minute candle following the release to consider a short British Pound trade. 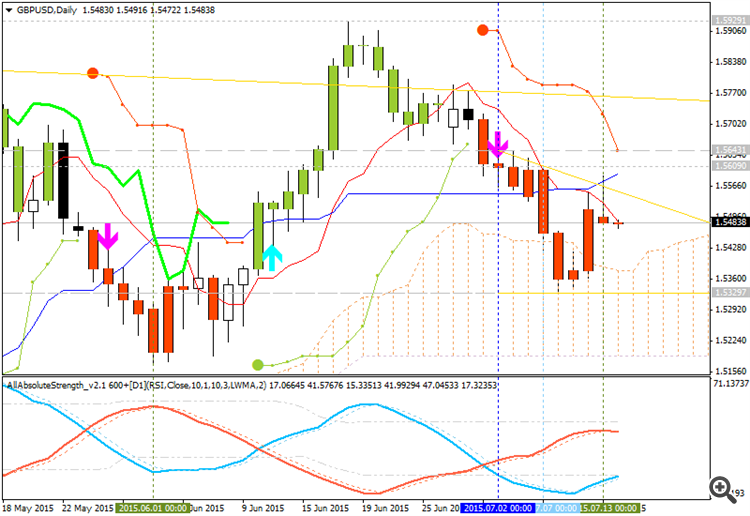 If market reaction favors bearish sterling trade, short GBP/USD with two separate position. Implement same setup as the bearish British Pound trade, just in reverse. 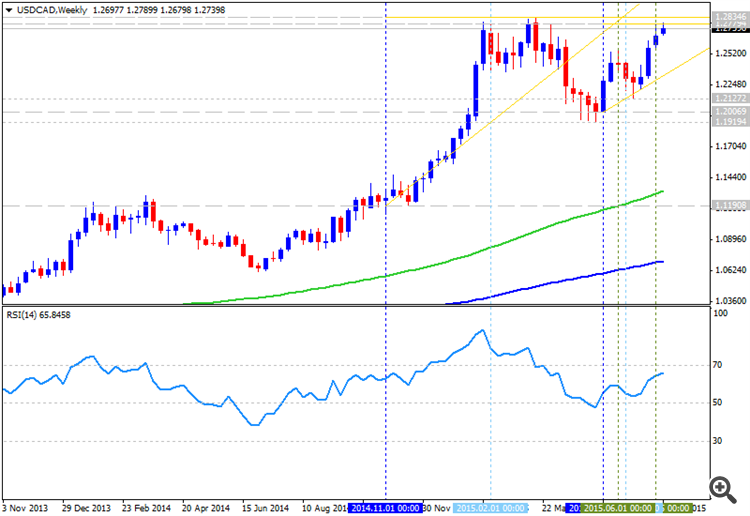 Waiting for a break of the downward trend from June to instill a more bullish outlook for GBP/USD as the RSI fails to retain the bearish momentum. Interim Resistance: 1.5630 (38.2% retracement) to 1.5650 (38.2% expansion). 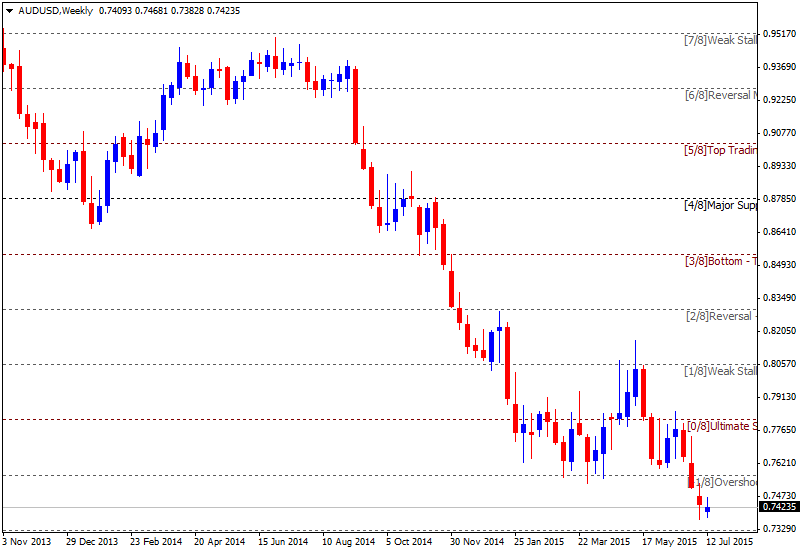 Interim Support: 1.5330 (78.6% retracement) to 1.5350 (50% retracement). "The last minute agreement with Greece ought, in theory, play EUR/USD negative by allowing negative front-end rate spreads to be a bigger FX driver again. Also EUR negative, we believe, is the renewed fall in oil. For two to three months, markets have romanced the Euro area ‘reflation’ trade." 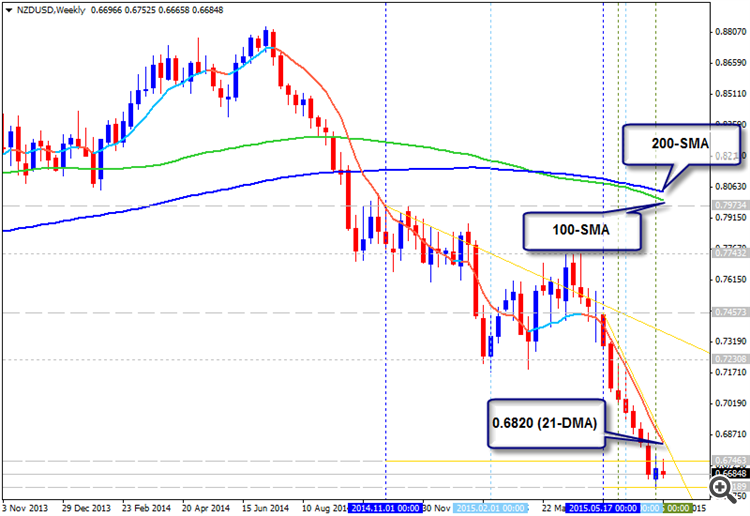 "Conclusion: EUR/USD goes lower multi-month but in a choppy range over the next few weeks," RBS concludes. AbsoluteStrength indicator in separate window is rising by bearish value (tomato colored line) and rising by bullish value (skyblue colored line) on the same time which means for ranging market condition to be continuing during the next few weeks. 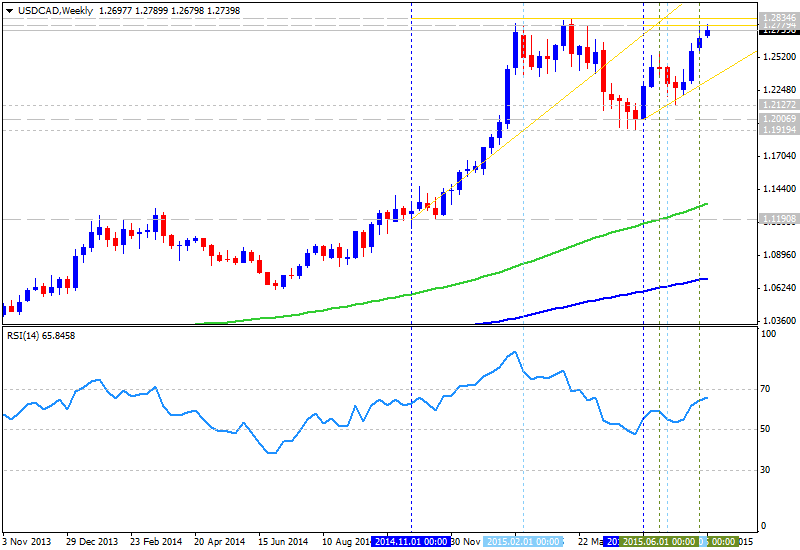 nearest resistance level is located in bullish area of the chart: 1.1215. Thus, I can confirm: we will see the choppy/ranging market condition within the primary bearish during the next few weeks. "European data has improved, but undeniably the risks to Europe have increased". Citi analytics see a little option for Draghi for the situation improvement to reduce the risk. "Growth has trudged along in Europe since the last ECB meeting. Broadly, there has been better data in France, Spain and Italy, with some weakening in Germany...Draghi is likely to remain cautious and given the decline in oil, there is some potential for a mildly more dovish message on inflation," Citi adds. "We bias a weaker EUR through the press conference." "Thursday’s ECB is going to be dependent to a large extent on the Greek parliamentary vote and Eurogroup bridge financing decisions." 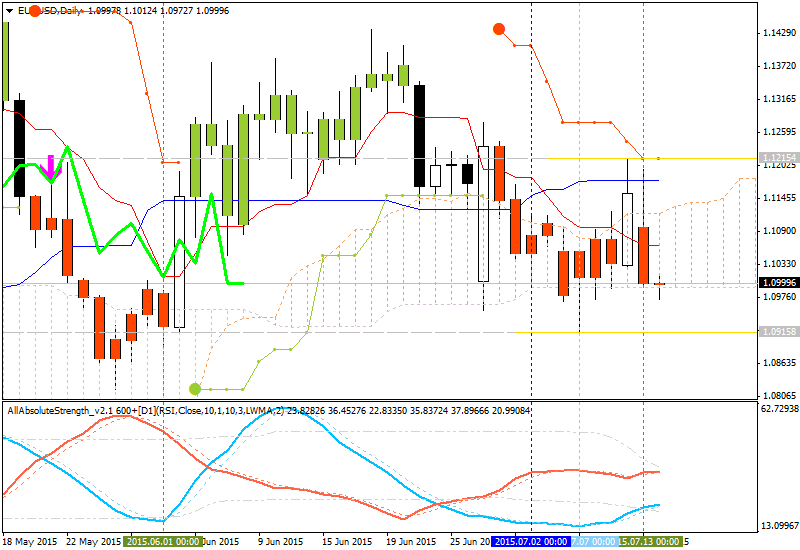 Citi told that the market reaction will trump the expectation so the direction for EUR/USD will remain the same one. Goldman: "We expect that her testimony will be in line with the June statement, minutes, and press conference." Credit Suisse: "We expect Yellen to preserve Fed policy flexibility, and do not expect her to close the door on a rate hike as soon as September." RBS: "We think it is unlikely that Chair Yellen deviates strongly from the conclusions presented in her comments on the economy last Friday, though the most notable point of interest could be on international developments, particularly in Greece." BNPP: "Today, we expect Fed Chair Yellen to repeat her Friday comments that she anticipates hiking rates by year-end but that data is key." BTMU: "A speech from Fed Chair Yellen in Cleveland last Friday has perhaps taken some of the importance away from today’s semi-annual testimony given it seems very unlikely that we will get any notable change in the message given in the Cleveland speech – that is that the FOMC remains of the view that the first rate increase will take place later this year. Crucially in Cleveland last week, Chair Yellen acknowledged more explicitly that while she believes slack remains in the job market “some tentative hints of a pick-up in the pace of wage gains may indicate that the objective of full employment is coming closer into view.” Measuring the slack in labour markets is notoriously difficult and hence if wages start to accelerate further that will provide more meaningful information on the degree of slack than any internal economic analysis." BofA Merrill: "Overall, we expect Yellen to sound cautiously optimistic about the US outlook, in line with her comments at the June press conference and the broad discussion by voters in the June minutes." Barclays: "We do not anticipate any change in the Fed’s rhetoric about the prospects of monetary policy and we expect Chair Yellen to continue highlighting the data- dependency of future decisions." SocGen: "Will Ms Yellen feel the need to reiterate warnings that the time for getting rates off the zero bound is now approaching? A bland warning that rates will have to go up eventually is probably neutral for FX markets." Credit Agricole: "Her testimony will reflect the committee’s view that the economy is approaching economic conditions “consistent with warranting a start to the normalization of the stance of monetary policy.” Fed officials are looking for more evidence that economic growth is sufficiently strong and labor market conditions continue to firm enough to return inflation to the Committee’s longer-run 2% objective over the medium term. Committee decisions on changes to the Fed funds target will be made on a meeting-by-meeting basis. We look for Chair Yellen to focus more on the gradual pace that the Fed is likely to take in the rate normalization process and to downplay the importance of the date of the initial move." Danske: "We expect her to repeat the message from last week that she expects lift-off this year. We believe the market is pricing too few rate hikes over the next 1-2 years."